Thursday, September 11 at 6:00 P.M.
Grades 5-8 5:30 until 8:00 P.M.
Grades 9-12 8:30 until 11:00 P.M.
T-shirt order forms will be handed out on Monday, September 15th and due Friday, September 19th. 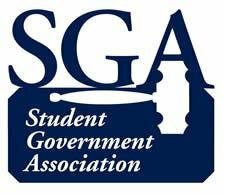 On Saturday, September 20th, the SGA will host a Sports Day Camp from 9:00 A.M. until 12 P.M. The camp will include football, cheerleading, soccer, tennis, and basketball. The cost is $15 per student. Registration forms will be going home soon. All proceeds will benefit the Fall Ball on October 10th. For more information, please contact the school office.